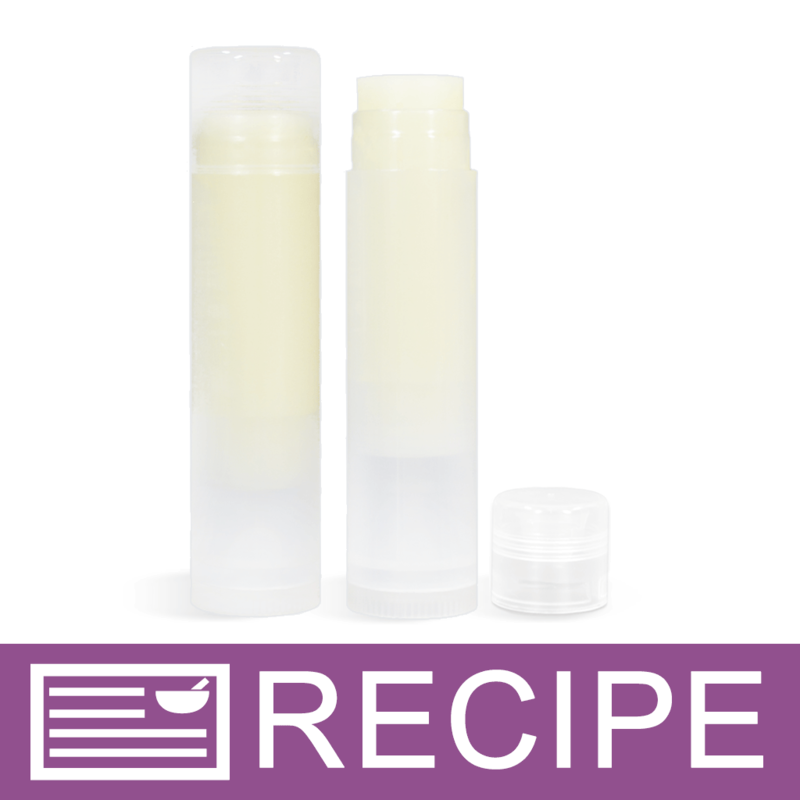 This all-natural lip balm recipe project includes mango butter, beeswax, castor oil, candellila wax, and sweet almond oil. Vitamin E is added to extend the shelf life of the product, and wintergreen essential oil gives the natural flavor. 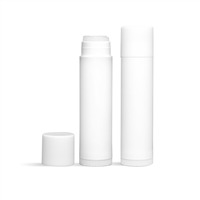 This project also includes white lip balm packaging tubes. You Save $15.07 by purchasing this kit rather than buying the items separately. "Sticky and Smelled of petroleum "
COMMENTS: ok so I've been making my own lip balm for about a year using unrefined organic ingredients - cocoa butter, vanilla infused jojoba (that I infuse myself with vanilla co2), coconut oil and beeswax and lip safe essential oil. . Mine are fantastic so I'm not really sure why I tried another recipe other than mine can be a bit costly. This recipe is horrible - I'm sorry but it is. The castor oil leaves your lips sticky and the smell of the balm is like motor oil. My recipe smells like chocolate vanilla orange so I'll stick with that. I'll not forgo quantity for quality. I'm disappointed. However, it isn't all bad, I turned the lip balm into furniture polish and can use the ingredients in other projects. 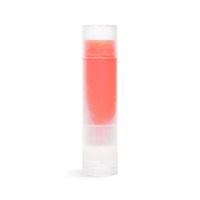 COMMENTS: When I purchased this kit I was very interested in making my lip balm because I've been using a commercial style lip balm for years and never really was satisfied with the results. After I made the lip balms from this kit I fell in love with it! My lips were very soft and silky smooth and the chapped dry skin went away with in a few days of use!! Definitely recommend this for anyone!! COMMENTS: This kit is a great value for what you get. The instructions are super easy to follow. I can't wait to start selling these! 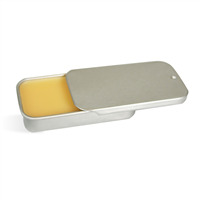 "great clean lip balm base"
COMMENTS: I loved this lip balm kit, great price for an amazing quality product! I'm going to add a sweetened flavor oil to the next batch I make :) all the natural ingredients feel so good on your lips too! "Is the filling tray and scrapper included?" Staff Answer No, these items are not included in the kit. "If I wanted to add color to this how much should I add to ensure that the batch is properly colored? " Staff Answer How much color to add would be your own personal preference. "If I wanted to omit the castor oil, would you recommend using more Almond oil? Or could I add in another oil such as jojoba? Thank you!" Staff Answer Hi Jessica, Castor Oil is known to provide the best shine but you could use another replacement oil if wanted. Just know we haven't substituted any other oils for this recipe so I would recommend to test in a small batch to determine optimal results. "Is there anyway of adding goat milk to any of the lip balms you sell? " To add goats milk to your lip product you will need to add a lip safe preservative, which we do not carry. You may want to use our all natural Goats Milk Powder as a substitute to fresh goats milk which will provide your products with the moisturizing properties you are looking for. 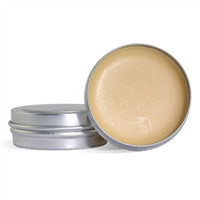 "I finally found a balm that looks good, is lower priced and does not leave me with chapped, peeling, wrinkled lips! If its ingredients are sold by WSP, and I send you that info, can you help me create a similar product?" Staff Answer Unfortunately we do not offer such services at this time. "Hello, Can I label this as All Natural and Vegan based on the ingredients in it?" Staff Answer Yes, this product can be labeled as all natural. Labeling it as a vegan product may require additional certification. I would recommend checking the labeling laws and requirements for your specific location. "Why does this kit include ROE and orange essential oil and not Vit E like the included recipe calls for? Is there a place to find the recipe using the ingredients included? Thanks. " Staff Answer Both ROE and Vitamin E are good antioxidants. The kit comes with one but if you have the other on hand you can replace it. "Could I exchange the round tubes for the natural round or oval tubes since it's the same price?" Staff Answer Unfortunately, we cannot make substitutions in Kits. You may use the recipe and purchase the ingredients separately if you wish to use a different container than what is included in the kit. "In the lip balm can you add extracts that you use for baking/cooking for the fragrance & flavor ?" That depends on what they are. Concentrated extracts or pure oils should work, but if they contain water or ethanol you will have trouble. "If I wanted to color this recipe and still call it 'all natural', what kind of colorant would you recommend? "